At Lyonsdown the Lower School consists of the EFYS and Years 1 and 2, in which boys and girls work alongside one another in a caring and nurturing environment. The small classes in each group and the support of teaching assistants throughout the Lower School ensure that there is a favourable adult pupil ratio. In this part of the school, after the Nursery year is completed, there are parallel classes in each year group up to Year 2. 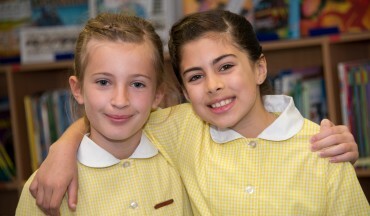 At the end of each year the children are carefully reallocated into new classes as they progress through the Lower School. 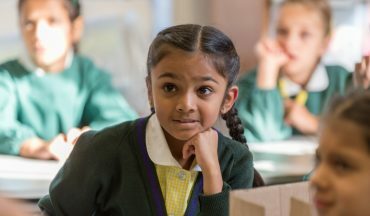 During their time in the EYFS, the experienced and caring staff appreciate that every child is unique, and in so doing, they ensure that engaging experiences and activities are matched to the specific needs of each child in a stimulating environment. In the Reception year, the children are prepared for a smooth transition into Key Stage 1 through a more structured approach to learning. In Years 1 and 2, the children follow the National Curriculum, which is enriched and enhanced to suit their learning styles and interests, with a specific focus on the development of their literacy and mathematical skills. 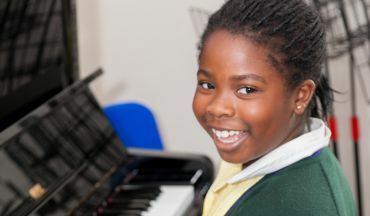 High academic standards are set, and the pupils are offered a broad and varied curriculum. From an early age in Nursery, P.E. and French are taught by subject specialists and as the children progress through the school, this provision increases to a variety of subjects including computing and science. At this important stage of a child’s early development, the pastoral care of pupils is a high priority for all staff, but in particular, for form teachers, who work with other staff in an holistic approach to the pastoral care of all pupils in their care. Throughout their time at Lyonsdown, the boys are prepared for 7+ entry to schools which best suit their individual needs and requirements. Girls are supported to become independent, confident learners, ready to meet the new and increasing challenges of life in Lyonsdown’s Upper School. Alongside their academic studies, the Lower School community work together to put on two productions a year which enable all pupils to develop the confidence to perform in front of others. In addition, pupils experience a wealth of educational visits linked to their learning and workshops within the school, led by experts in their field, in order to broaden their knowledge and to enhance their life skills.